My Facebook friend posted a Tumblr post (from November 2011) the the other day...and...well, after reading it, I just had to comment. It really got my ire up...which usually doesn't happen that much...well, as far as responding with a blog of my own to counter another person's post. In fact, it's never happened before. I was more than a bit miffed...and I couldn't remain silent. My friend (who posted this - but did not write it) works in the retail business, and I'm certain she is a hard-working, nice, friendly, and very helpful person who deals with jerkwads every day. I feel sorry for all the people who are also hard-working, nice, friendly, and very helpful people who have to field a bunch of self-righteous ignorant people who think it's funny to do the crap they do because they can do it. I, however, am not one of those people and I did take offense to this posting. Allow me to tell you the story from MY side of the counter. I will post the link of the posting (not copying the whole thing it in case they get mad at me) - and take each item one at a time, in the order they are shown in the post. Please check out their article first - so you can see the full comment for each item. It's imperative that you do so in order to fully understand my comments. 1. Return your items to the store in which you bought them. While this sounds like an excellent idea and I've done this a few times myself (I'm not prone to returning things...and can count the times I have done so on a couple hands)...sometimes people who live in another state...have sent us things for Christmas...and we couldn't return it to that specific store. Logically, expecting people to drive all the way back to the store it was originally purchased at, is...well, illogical. Some people also have other reasons they can't as well. The fact that you get 20+ returns a day from people is no excuse to treat them like crap...nor roll your eyes at them after they leave your store. Not everyone is buying things at one place and then driving way out of their way to another store just to make your life miserable. If the store's policy (usually a chain store) states you can take it back to ANY store...you should do it...without a problem. Also, sometimes there's a reason a person shows up 10 minutes before closing...especially if the receipt says you have X days to return it and you just now realized today is the last one. Sorry again...but that's the way it goes. Also, sometimes there is traffic caused by accidents and whatnot. If I drove all the way to a store 1 1/2 hours away (I've done this before)...to take something back and I get there 15 minutes before closing...you can bet I'm going to take it back. I would probably apologize for inconveniencing you...but I would still take it back. 2. Think twice before picking up your phone. Personally, I don't talk on my phone in front of people I'm dealing with on a face-to-face basis. I realize others do. And, guess what? A LOT of the people I see who do that...are the ones at the register or working elsewhere in the store...ignoring me while they are talking to someone on their own cell phones. Yes, I have had to wait...a HUGE amount of times...a HUGE amount of time...until they decided to hang up...sometimes with a snitty response along the lines of: "Uh...a person's here I have to go wait on...yeah...I know...(laugh laugh)...really...uh huh, I tell ya (laugh laugh)...ummmmm...call you back in a minute." Now I know lots of customers probably do this...I am not doubting you there. But if I had to fire every single worker at a store who did this to me...I'd pretty much have solved the unemployment crisis (well, not really - but you know what I mean) in this country. The difference is that...we are paying for YOU to wait on us...not the other way around. Many people in stores seem to fail to realize this because they just don't give a damn one way or the other. They hate their jobs or have not been brought up with any work ethic - many who work have never worked in an era before cell phones...but that is absolutely no excuse. You have a job...get off the phone and do it! 3. I run a business, not a daycare. Absolutely agree with you here. I can feel your pain. I feel it when I'm in a store and see it. My children NEVER did this. Trust me. Never. 4. That shirt you found online? I've never done this. I'm sure people do this. While it might be irritating...it's still your job and you should be nice to them. Some people probably don't realize this...and, yes, customers hope you have it in the back...that's why we ask. Guess what? Sometimes asking the right person...after asking two others...found what I was looking for...in the back. The difference is that they took the initiative to look. You can't believe how many times I've been told they don't have one of something...only to be told they do...by another employee who goes and "looks in the back" for a minute. This is probably why people routinely ask this. 5. Don't just bring a list. Bring pictures. Wow? Really? We have to bring photos of our stuff that we want? You mean to tell me that I can't walk into...say, Williams-Sonoma, and ask them if they have a tea strainer because they can't find it as I didn't bring a friggen photo? Seriously? You can't possibly be that familiar with your products if you need photos of everything. You just don't want to admit you aren't familiar with items. Am I to believe if you are working at an apparel store...you can't help someone who maybe wants to find a blue long-sleeved shirt? Or maybe a cropped white sweater to wear on top of a white dress like my daughter had to wear for graduation? Oh, yeah. I had apparel-hell when I asked employees if they had anything like that in their stores. Numerous stores. What is so hard about "Do you have any white sweaters which are kinda like a bolero jacket here?" Trust me...hunting for the "Holy Grail" is probably an easier task. I can't believe people are seriously that unfamiliar with the stuff in their stores. ALL of them. In Dillard's we asked no less than FIVE employees in the women's department...with no luck. They didn't remotely have a clue. We had to find it ourselves....while they went right back to talking to each other. And, you know what? I could have remembered where nearly everything was after looking around for a bit. If I can do that in 30 minutes, you surely can do that after eight hours every day for weeks on end. It's called "your job"...do it. 6. When I say, "Hello!" I'm being polite. You should try it. Oh...really? First off, "IF you say 'hello'", is more like it. I don't typically get a kind word from store employees anymore; half of them are talking to the other worker...making sure their backs are to me (conveniently turning their backs to me the whole while as I walk around them) or talking on their cell phones. They also don't say things like, "Thanks for shopping with us" or "Have a nice day!" Many times when I've said it to them...they've not said a word back. Again, I must reiterate...if customers don't say one word to you while you are working...they might be rude...but it's still your job to greet them. They don't have to say anything to you if they don't want to. Sorry, but that's the way it works. It's called "your job". Oh...don't get me started - as you'll get an elongated #6 (above) out of me. I will just point out again that it's your job. It is upon you to be the nice one. This is totally lost on most people out there in the world today...except for Chick-Fil-A and Fresh Market workers. How come they can be nice yet everyone else can't? 8. Here's the thing with receipts; They [sic] kind of prove that you bought it. I've had receipts...with the purchase price I paid on it...and, guess what? They didn't gladly fork over the full amount. Um...Macy's...I'm talking to you. I had to get into an all-out receipt-war with the person before I had to go to another floor to see a manager...who tried to weasel out of it before a higher tier manager intervened and reluctantly gave me my purchase price back...all because an item was on sale AFTER the purchase. So, don't even go there with the "receipt" bit. I also know people wear things...that they've not ever bought there...and then try to take them back. But, you know what? For every person who doesn't have a receipt there are probably dozens more who do. I know it's got to be frustrating and you don't want to argue with a jerk with an attitude problem...so I can see where you are coming from. It must not be fun. But...it's also not fun for me to spend another 25 minutes arguing my case when I have the receipt in my hand. If they are asking? Yes. I can't tell you the amount of times something rung up wrong and they had to do the "price checks" or the "walk you back to where I found it because it will take less time than if you do it yourself and there's a line in back of me which rivals the one for the opening of a 'Star Wars' film" things. And then they have to call to get the one person in the store who can do an override - and they are always talking to another worker...or looking at their friend's baby...and then take their damned sweet time coming over to only turn a key and press a button. Just for the record...probably one out of ten times I go to a store...there's a price marked incorrectly...and it's not ever in my favour. So, yeah. If someone asks what the price is...again...it's your job. Be nice and oblige. 10. If you don't like our prices, go to Wal Mart. Wow. Just wow. Seriously, you just said that? I hope you work at Wal Mart. And you are whining because you are helping someone find something...when it's your job? Ugh. Just ugh. I need a job. How about I take your job? Oh, c'mon...everyone who shops says this. Get used to it. 12. I don't get paid to be a housekeeper. I agree with your comments. I detest seeing those empty cups and food containers all over - are people that lazy? I guess they are. They also figure they have a maid (in you) to pick up after them. I never do this as I think it's deplorable. I even walk my carriage back to the inside of the store most times instead of just leaving it in the little carriage containment corrals in the parking lot...so, yeah, I don't do this. I hate the people that do. And, no...that shouldn't be your job to clean up after them like that. It takes you two to three hours to refold a table of shirts? Perhaps if you turned off your cell phone and used two hands it would take you about 10-15 minutes instead. Seriously...I can refold a table full of shirts, dress or casual, in a LOT less time than two to three hours. I think you are highly exaggerating it here to prove a point. A point that, by the way, is probably IN your job description. And, perhaps you should be a little nicer to people...and I'm assuming, from your comment, that typically only "XL" people do this sort of thing? I'm really thin and even I'm taking offense from that snide remark, you impertinent twit. I'd go and unfold clothes every day for a month if I knew where you worked...just to piss you off. Seriously. That was uncalled for. 14. The mall is closed. You may leave now. Usually they usher you out of the store with the constant reminders that the place is going to close in 30, 15, 10, 5...minutes. I am sure there are stragglers - but most places will give you plenty of stare-downs and whatnots in order for you to leave. Some places totally shut the registers down - and, if you are late going up to it, you are out of luck. And, yes, nearly everyone I knew in retail worked a while after the store closed...but they also got paid for working until their work was done. I, on the other hand, worked in a government job...and many times I would work late...without getting paid overtime. I very rarely ever got out right on the button. And I never was a jerk to anyone who wanted to chat a bit. So...there it is. I feel better now after responding to this...even if no one reads it - I got it out of my system. Many people out there would love to have a job...and there's people with this attitude bitching about having one. Perhaps working in a job where you don't have to deal with the public would be helpful for people who seem not able to deal with people. I run into so many people, at the doctors' offices and at the retail level, who really never should have gone into that line of work. Unfortunately, it's not so easy to terminate someone...and the ones who have a bad attitude...they are afraid to...just in case they come back later with a gun. It's just a sad situation we live in where doing your job is something people complain about. Just doing your job. I don't get it. I guess I was from another time. A time when doing a great job without any reward was still expected. Now, it seems, that if you just do your job, you get pats on the back. By the way, I make it a point to never complain about someone (to management) unless they are consistently bad...and, even then, I don't complain (like that woman who works at the Starbucks on Eastern Blvd...she's NEVER been nice...not even cracked a smile that I've seen...and I've gone in there at least 30 times). I do, however, call to tell managers about how incredible a worker is...and I've done that numerous times. So, word to the wise...there are people out there who notice when you've been nice. And, remember...being nice to people doesn't take an extra effort...that is, if you're used to doing it. Ugh! People are assholes, sometimes. Really. I have empathy for most people in most jobs, and like you pointed out, I can agree with some of the things this FB poster said. What it basically comes down to is common courtesy. Most of us exercise that no matter which end of the cash we're on. It's the small percentage of jerks who stand out though. 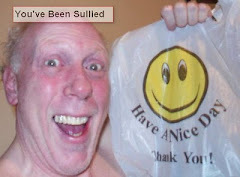 I found your blog via a link at Suldog's blog... and with a nudge by Jim in an email. Congrats on the grand prize win of the Bulwer-Lytton Fiction Contest. Those opening lines have had me cracking up for years. Yours included. I agree with the general sentiment of most of what the original author wrote, but there's still no excuse for poor customer service. As you say, "it's your job." But some of what the author complains about are just normal, to-be-expected parts of the job as annoying as they might be. To use their own sentiment against them . . . they say, "You don't like our prices, go to Walmart," well, how about "If you don't like dealing with the general public, get a different job." I share your habit of pointing out stellar service to management. It always makes someone's day . . . including my own. Thank you. I read what was originally posted and I was getting ticked off - couldn't find a comment section to tell this person where to put this particular posting. I can't agree with them, not at all. We (shoppers) are NOT all like that. But I have seen a some shoppers be this way and I can sympathize, however, I have seen a lot of sales staff be like this too. 1) Drink/food containers (if I bought a drink from inside their store) go into the waste basket, at least that is where I put it. 2) I don't tear thru clothes and if I can't find my size, I expect a sales person to help me. I try my best to put that shirt or sweater back, but I am not a folder. I learned how to military fold, I can't figure out how to store fold. 3) And yes, you best call out the prices as I check out - if it is the wrong price (too much or too little) I want to know, so I can point it out and pay (YES! PAY) the correct amount. My mother taught us - "I don't take an extra penny from you and you don't take an extra penny from me". 4) All major chains have a return to any store policy. 5) And beforing leaving, I always make it a point to let management know how good the service that their folks provided was. ALWAYS. 6) BTW, that shirt I found online - if the web site says it is available at the store, by gosh, guess what - it should be availabe. And if you are out of it - add my name to the order list/raincheck or let me know when it will be back in stock. 7) If you say hello and I don't answer you back, I may not have heard you - I'm 90% deaf and read lips 99% pf the time. And if you get in my face to say hello - you might scare me - I will be sure to complain about your actions to your supervisor. 8) Guess what original poster - Walmart will check (without asking) if the item is available at another location in the area and put it on hold for you. Sorry, but it is rare that someone's post on a blog makes me angry. The condescending tone is what got to me.